The new generation Range Rover is much more than just a more premium design that takes inspiration from its elder sibling, the Velar. Land Rover has based the 2019 Evoque on an all-new platform. This has not only made the 2019 Evoque lighter and more efficient than the previous but has also made it compatible for hybrid engines in addition to the conventional petrol and diesel powertrains. 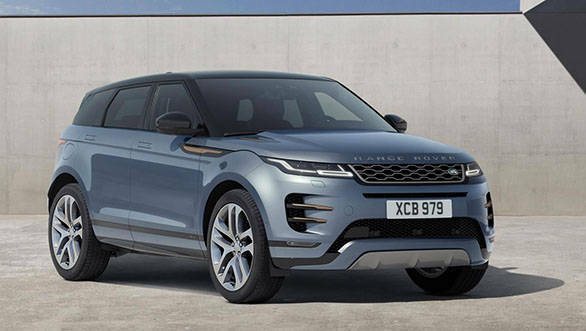 Land Rover has confirmed that the new-gen Evoque is available for order in the UK where its prices start from £31,600, which is approximately Rs 28.51 lakh, excluding the tax and the import duty. We believe Land Rover India could look at launching the 2019 Evoque here sometime next year. 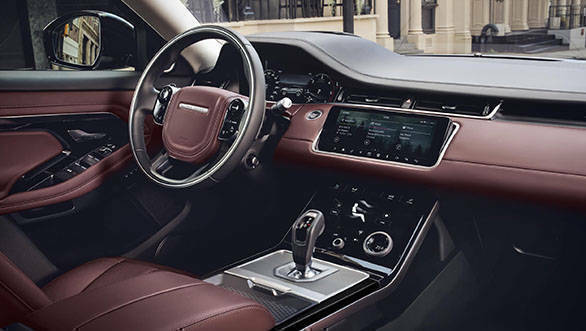 The new-gen Range Rover Evoque comes with super-slim matrix LED lights, flush door handles, sweeping directional indicators along with optional R-Dynamic details and burnished copper accents that make the compact SUV more appealing than before. The cabin of the 2019 Range Rover Evoque SUV has got an upgrade in terms of trim design and materials. Land Rover mentions that the carefully curated materials create a luxurious, minimalist, digital cabin. Further, technical textiles that use recycled plastics are being offered as premium alternatives to leather, such as a Kvadrat wool blend and Miko Dinamica suedecloth, as well as Eucalyptus and Ultrafabrics options. The cabin comes equipped with twin touchscreen Touch Pro Duo system, featuring new, faster software, 16-way seat controls and cabin air ionisation that complement the increased interior space. Also, this time around the new infotainment system comes with Apple Car Play and Android Auto connectivity options. The SUV also gets segment-first ClearSight rear-view mirror that transforms into an HD video screen wherein the driver flicks a switch on the underside of the mirror and a camera feed from the top of the car displays what is behind the vehicle. The screen provides a wider (50-degree) field of vision and also has low light vision. The new architecture has been developed for electrification, with a 48-volt mild-hybrid that will be available at launch. This will be followed by a plug-in hybrid model that will be launched in 12 months from now. The mild hybrid powertrain is a first for Land Rover that makes use of the energy that is normally lost during deceleration thanks to the engine-mounted belt-integrated starter generator, storing it in the under-floor battery. At speeds below of up to 17kmph, the engine will shut off while the driver applies the brakes. When pulling away, the stored energy is redeployed to assist the engine under acceleration and reduce fuel consumption. This, according to Land Rover, results in a refined, quiet and efficient drive in built-up traffic heavy areas, in addition to improved efficiency. The 2019 Range Rover Evoque will be available with four diesel and three petrol engines in different states of tunes, ranging from 150PS to 300PS. Being a Land Rover, the Evoque too has to be off-road ready. 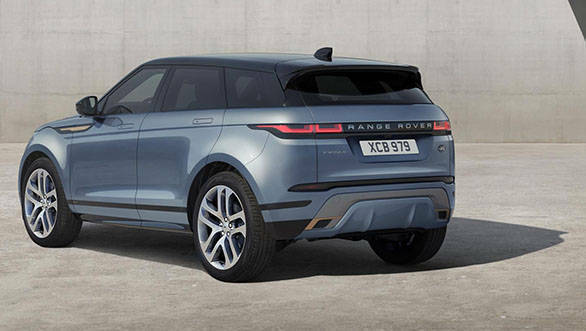 And to just do that, the new Evoque features All-Wheel Drive, as well as a second-generation Active Driveline with Driveline Disconnect and Adaptive Dynamics to deliver the optimum balance of comfort and agility. It also features Terrain Response 2 that automatically detects the surface being driven on a adjusts the set-up accordingly, while Evoque can now wade through water up to 600mm, 100mm more over the previous model. The new-gen Range Rover Evoque competes with the likes of the Audi Q3 and the Volvo XC40.